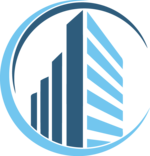 myCondoBooks: a user-friendly online solution that makes managing condominiums and HOAs easy, efficient, and secure! Easy online management for your condo or homeowner association. Comprehensive financial, communication, and document management tools. Build trust and confidence by bringing transparency to your homeowner association. Provide unit owners secure access to myCondoBooks. Allow unit owners to send messages, participate in discussions, and view their financial records. The myCondoBooks team is always here to support you and to make sure you have a great myCondoBooks experience. Contact Us with any questions or concerns you have, and one of our friendly team members will make sure you’re taken care of. Per Unit Per Month – that’s it! I love myCondoBooks. It's great to store condo documents and other info for owners to access. The "message an owner" feature is a big time saver. Even for people like me who are not computer savvy, it's easy to use, especially knowing that the customer support is always available to assist should I need it. Since myCondoBooks is user-friendly, it has allowed me to learn the ropes of bookkeeping for a condo association without taking tons of time or complicated processes. myCondoBooks makes money management transparent, and when I'm ready to end my adventure as treasurer, it will be easy to pass over control to the new treasurer. I haven't come across a downside yet!